IMPORTANT. 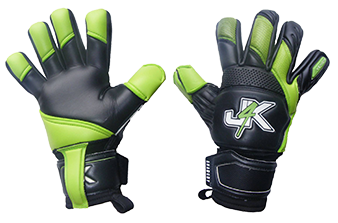 When you see the finger spine picture with a particular goalkeeper glove, this means that goalkeeper glove will be finger save applicable. So all you need to do is purchase a set of finger spines with your goalkeeper gloves. Spines come in Size 11, Instructions given to break to size to your glove size. Please order your gloves and opt for size 11 finger spines. You then simply follow instructions when received to break to your glove sizing. Also, you cannot claim glove spines as part of glove sponsorship.